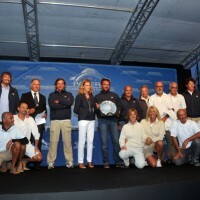 The Panerai Classic Yachts Challenge 2013, the first international circuit for traditional sailing yachts, stopped off from September 21 to 29 during the Regates Royales at the Old Port of Cannes for its ninth edition. 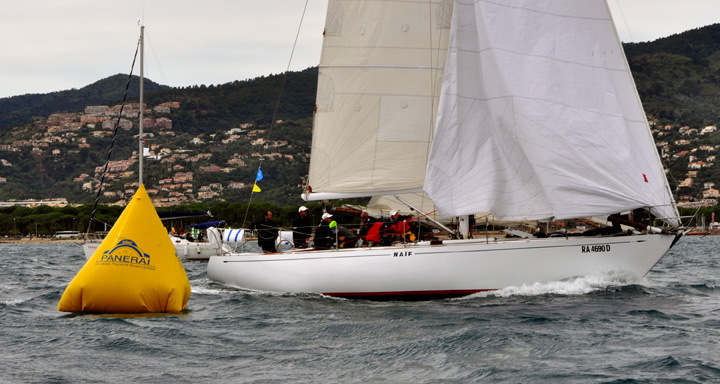 The beautiful traditional yachts participating in the Regates Royales, symbolizing more than a century in the history of yachting – the oldest dating back to 1896 – came from ten countries. 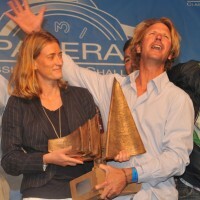 These majestic boats with varied shapes and sails were mostly made from precious woods like mahogany and teak. 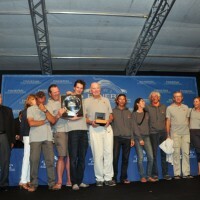 They are the result of the best naval architects of all time. 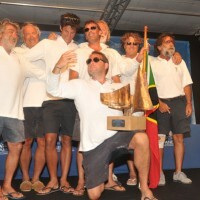 Each boat has its own story to tell, often rich in navigations carried out in all the seas of the globe, challenges in regattas of the America’s Cup, or have crossed the Mediterranean, Northern Europe and the Atlantic Ocean. 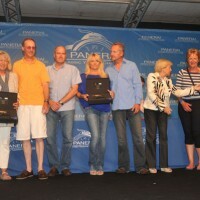 In this 2013 edition, the Panerai Space had set up residence in a large tent inside the Old Port of Cannes, where shipowners, crews and journalists from around the world could gather every evening to savor delicious Italian specialties and share the “verre de l’amitié” while remembering the day’s marine adventures. 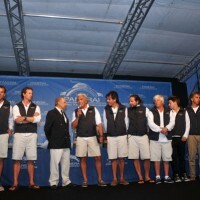 A giant screen broadcasting the regattas allowed crew and captains to review the day’s racing. 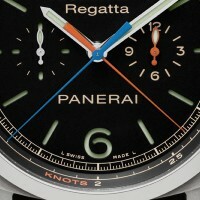 As a decoration, you could admire in the windows beautiful luxury watches from the Panerai collection. 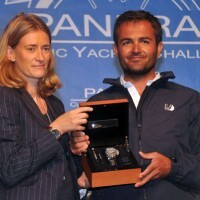 Prominently, was also showcased the Panerai Trophy won a few months ago in Barbados and the cup bearing the names of winners of the two previous editions that will be also reused for the next winner of the Panerai Transat Classique by winter 2015. 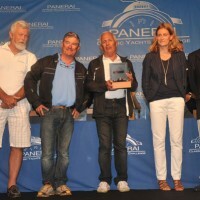 The great Panerai evening of Thursday 27, organized to thank all participants (whether on land or at sea) of the prestigious trophy of the seas, had considerable success and will certainly remain engraved in the memories of everyone until next year. 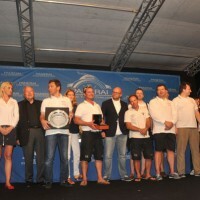 The award ceremony held on Saturday 28 on the village of Regates Royales closed a beautiful edition where competition and atmosphere were to go throughout the week. 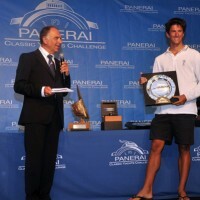 This year, the Panerai Classic Yachts Challenge has a new host city. 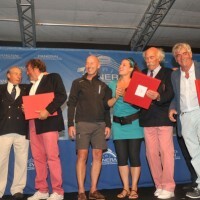 Naples, one of the most amazing cities in the world, joined the PCYC Mediterranean Circuit, with its legendary bay as a backdrop for the 10th edition of “Le Vele d’Epoca a Napoli ” between June 26 and 30, 2014. 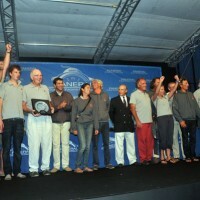 The arrival onto the Panerai Classic Yachts Challenge international circuit demonstrates the flourishing state of regattas on the scene of the classic sailing. 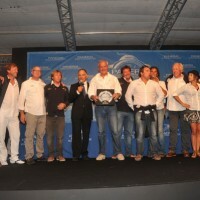 Panerai Classic Yachts Challenge also established a partnership between the organizers of the last decade (Reale Yacht Club and Canottie Savoia), the Staff of the Italian Navy Bureau of Sailing, and Officine Panerai, sponsor of the circuit for 9 years, renowned for its historic ties with the sea and sailing. 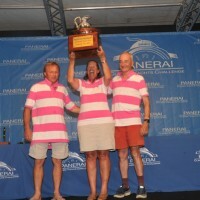 The ninth edition of the Panerai Classic Yachts Challenge opens, as tradition dictates, with the Grand Antigua Regatta in the Caribbean. 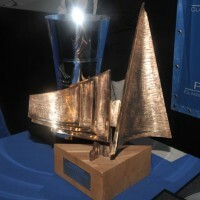 Old events as the two international circuits (the Mediterranean and North America) will also return with ne Cowes on the Isle of Wight. 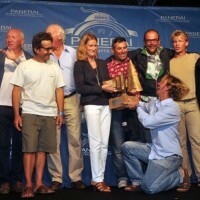 In 2012, the Panerai Classic Yachts Challenge regattas have attracted over 600 new ships during the ten international events on the schedule. 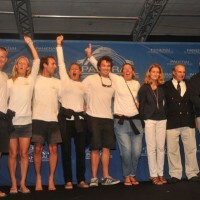 The largest yachts in the history of sailing were present on at least one of the competitions. 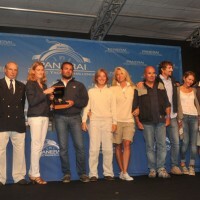 The winners of the Mediterranean Circuit Moonbeam were in the Big Boat category, Leonore in the Vintage class, and Naïf, in the classic one. 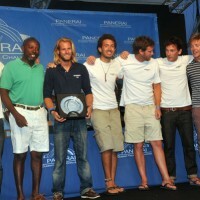 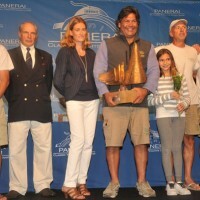 On the other side of the Atlantic, the 12-meter Valiant won the overall trophy on the U.S. circuit. 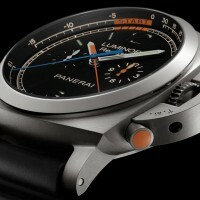 The Luminor 1950 Regatta 3 Days Chrono Flyback Titanio was born from the union of Officine Panerai and the world of classic sailing. 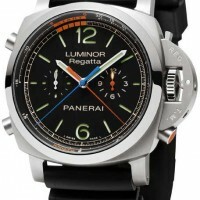 This is a chronograph with an automatic movement and a three-day power reserve, fitted with the Regatta countdown function, specifically created for yacht racing starts.